Many people in the world find themselves suffering from something, but they do not know what it is. These people get itchy and break out in hives. Some of them get runny noses or get so stuffed up that they find it difficult to breathe. Other people have more severe reactions, such as their throats closing up. What do these problems come from? Usually, people will have a reaction like this is they are allergic to something they ate or came into contact with. Allergies are a very common problem in the United States. There are easy ways for allergies to be diagnosed, however. Here is the 4-1-1. The best way for you to see what all you are allergic to is for you to go to the doctor. In fact, there is a special doctor that will deal with allergies, known as an Allergist. When you go to visit the Allergist, a nurse will come in before the doctor and you will be asked about your health in general. This is so the allergist can get an idea about what you may be allergic to. He or she will then come in and ask you about your symptoms and what seems to trigger them. From there, the allergist will be able to decide how he or she should test you for allergies, as there are a few different methods and testing procedures. The most common is the prick test. If your allergist decides that you are going to have a prick test, you’re probably wondering what that is because you never had one before. When you have a prick test done, a nurse, along with the allergist will come in the room and clean your back off. You will then have a series of pricks on your back. The allergist will then take drops of purified allergens and place them where you were pricked to see if your skin reacts. Other well-known allergens, such as histamine and glycerin are used to see if your skin reacts as well. There are tons of allergens that are used during this test. This test is also not painful but it can be irritating when something you are allergic to is placed onto your skin, as you will not be able to itch until the doctor gets the test results. 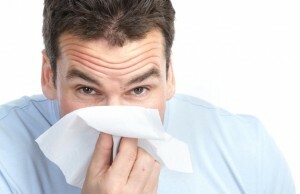 Allergies can certainly be annoying, but they are something that everyone suffers with. Some people suffer worse than others, but allergies can be treated with medications. When your allergist determines just what it is that you are allergic to, he or she will be able to prescribe the proper medicine for you. This will help to treat your symptoms and decrease the risk of a horrible reaction. You should try and avoid things that you are allergic to, however. If you think you have an allergy, please do not hesitate to visit the allergist and get it taken care of! Sarah H. is a writer for BestOnlineCollege.org. If you are interested in an online degree, take a look at this site.